“Camp” is almost exclusively a queer genre of humor: Oh, there is ironic and tongue-in-cheek humor in the straight world, as well as humor that lampoons cultural icons and sacred cows and cherished mores, but nobody does it like we gay boys, with such style in a single limp wrist, sibilant “s” or swished step, but with an evil twinkle in the eye. And yet it is done with equal measures of affection and condemnation, especially when the camp humor is directed at a beloved diva like Barbra Streisand. To my way of thinking, camp humor is a healthy way to bridge the gap between our incontrovertible status as “outsiders” in society, and our undeniable desire to somehow be part of it. Mock worship of celebrities and the very culture that excludes us in so many ways, is one method of forging our own kind of integration. As it happens, the very day you guys were seeing “Buyer and Cellar,” starring Michael Urie (of “Ugly Betty” fame,) Robert and I were watching an extended version of the “Inside the Actor’s Studio” rare interview of Barbra Streisand by James Lipton. You see, we are among those gay longtime Barbra worshippers who adore her voice, her enormous creative talent as an actress and director, and her larger-than-life persona. We eat it up. Like so many gay fellows, we don’t just love her, we probably want to BE her, as some of us have tried to do. I disagree that it is because we all feel dreadfully insufficient internally, (although many of us certainly ARE…) but because we see icons like Streisand as accessible portals into the larger world — openings that we recognize, understand, and know how to navigate. At the end of the interview on “Inside the Actor’s Studio,” as always the microphone was turned over to the guest so that she could interact directly with the students. One graduate student, a playwright, said to Ms. Streisand something like, “I have adored you all my life and your work inspires my own creative efforts. I am a gay man. I know other gay men who feel as I do. 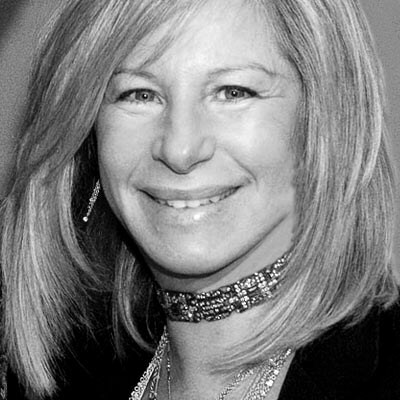 Why do you think so many gay men are inspired by you?” Barbra paused to think and replied, “It’s because I am so different from the rest of the world, and yet I made it. I am successful.” She came up completely outside the system and thumbed her nose at it even as she tried to get in. She has always been very controversial and despised by many, and yet she is enormously successful. Why wouldn’t every creative gay man identify with her? Human beings seek gods, kings, and queens: We hold within our DNA I suspect, archetypes of the great, powerful, benevolent, true, honest, just leaders, kings, queens and gods that we know we will one day become in some future incarnation. Until we achieve that lofty level of self-realization and, yes, internal sufficiency, we seek role models who can show us the way. But I don’t think this mentor/follower process is so much about insufficiency — that “looming lacuna” of which you write — as it is simply the way all sentient beings learn anything. Part of that learning process involves following false prophets, silly celebrities, corrupt kings, and visionless leaders, and learning to discriminate between a real god and a false god. Once we get that right we are ready to become gods. Until then, we need graven images and icons and manifestations of divinity in form to worship. 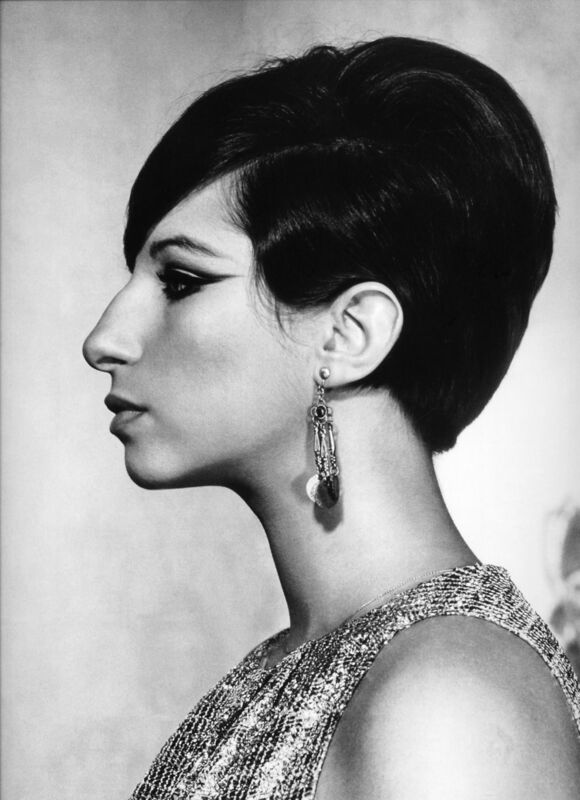 We can be quite sure that Streisand is a flawed mirror of The Divine Mother. But she IS a mirror, nevertheless, just as all of us are. She is particularly good at demonstrating creativity, courage in the face of fire, commitment and perseverance, and most uniquely, Sundara (Glorious Beauty) formed with very imperfect initial material — a strange face, dough-like body, and nasal voice. Yet she achieves it! Role playing as satire: This seems to be the methodology of “Buyer & Cellar” as you describe the play. The very premise that Streisand has constructed a fake shopping mall under her barn is the best example. What a great way to make a satirical statement about our cultural addiction to shopping (an activity that I personally abhor.) And it would seem that the actor does nothing but play various roles in a way that makes a satirical statement about the stereotypes portrayed. I haven’t seen the play, but I’ll almost guarantee that Barbra Streisand herself is reduced to a cliché stereotype of her superstar persona — a construct that may have very little to do with who she really is. And, as you describe the persona of Barry the boyfriend, his character sounds like a stereotype of the effeminate gay man — a type for which I have always felt great affection. The structure of the play sounds to me like a very ingenious way to weave a complex fabric of commentary about the obsessions, likes, dislikes, and bizarre behaviors of most of the members of our particular culture, employing the warp and woof of stereotypical characters revealed in a camp, satirical comedy. “Cutism” as a legitimate artistic genre: As an artist myself, currently delving deeply into what I call “Cutism” as a legitimate aesthetic genre, I am now seeing examples of it all around me, and coming to realize that many artists have been working for years in this “style” with tongue firmly planted in cheek, and without sacrificing any aesthetic rigor or excellence, by the way. It could be argued that the complete oeuvres of Keith Haring, Andy Warhol, Wes Anderson, and Steve Martin (to mention just a few artists) are deliberately saccharine, satirical “Cutist” outpourings. We recently watched the decidedly “Cutist” movie, “Evan Almighty,” — a powerful environmental statement about the coming apocalypse due to climate change and abuse of the planet, hidden within a high-budget commercial comedy. “Evan Almighty” is loosely based on the Biblical story of Noah. Steve Carell plays Evan, the new Noah, and Morgan Freeman plays God, responding to politician Evan’s prayer asking for help in changing the world. I had seen it before and thought it was cute and fun, but this time, especially after we watched the “bonus features” in which the director made no bones about his intentions, it seemed really profound to me. Some of us artists have decided to try to find ways to make these difficult or unpalatable statements more accessible to the masses. If we have to adopt cloyingly cute forms to accomplish that end, then so be it. Well… There you have it. I’ve said my piece, and I fear it may be longer than your original post! So sorry, but your very well-written review of a play that I have not even seen, propelled me right onto my soap box. I’ll get down now and shut up. But I sure do wish that Robert and I could have joined you guys on the opposite coast at the Mark Taper Forum and then discussed the play over margaritas and Mexican dinner afterward. In lieu of that pleasure, thank you so much for your very stimulating review and this fun discussion.